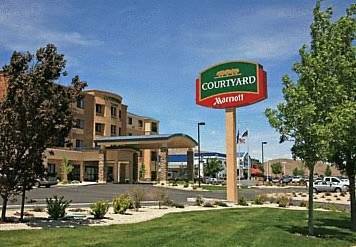 Welcome to the Courtyard by Marriott Carson City, is located in the heart of the Carson Valley and just 30 minutes from Reno and Lake Tahoe. It is conveniently located next door to Casino Fandango and Galaxy Cineplex. The spacious guest rooms include plush beds, refreshing bath amenities, in room coffee, HD flat screen TVs and free high speed internet. Upgrades are available to spacious king suites and luxurious Players Suites. Our new Bistro will be your food and beverage destination for refreshing breakfast choices in the morning and a variety of dinner and cocktail options in the evening. The Bistro also offers specialty beverages made with Starbucks coffee to help you get a jump on the day. The hotel has a smoke free policy and offers a complimentary business center. Call the Courtyard Sales Director to get information on any travel or meeting space needs/questions. The Bistro Eat. Drink. Connect. : Your food and beverage destination for refreshing breakfast choices in the morning, and a variety of dinner, beer and wine options in the evening. The Bistro also offers specialty beverages made with Starbucks coffee to help you get a jump on the day.